Both prime urban retail corridors, Walnut Street and Market East, are seeing a fresh wave of tenants leaving both set to thrive. Walnut Street refreshes its retail mix by adding luxury lite apparel like Rag & Bone, and wellness tenants like Flywheel and SoulCycle to appeal to its 40% millennial demographic. Market East will get a boost of 1-million-square-feet of renovated retail space by 2019, drawing in dozens of new-to-market retailers. It’s clear that shopping in Philadelphia depends on your own personal style. What’s great is when you’re in the city you get the best of both worlds – sophisticated luxury or simple and fun. 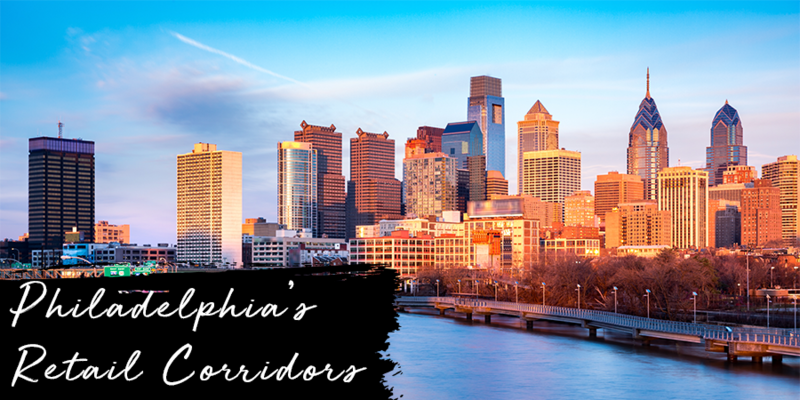 Although it may not be on the map as a fashion capital, Philly still has a lot to offer in terms of uniqueness and an overall unforgettable shopping experience. Don’t forget to download our Philadelphia City Retail report to learn about its retail corridors and view its average asking prime retail rents, annual rent growth rates and average cap rate ranges.